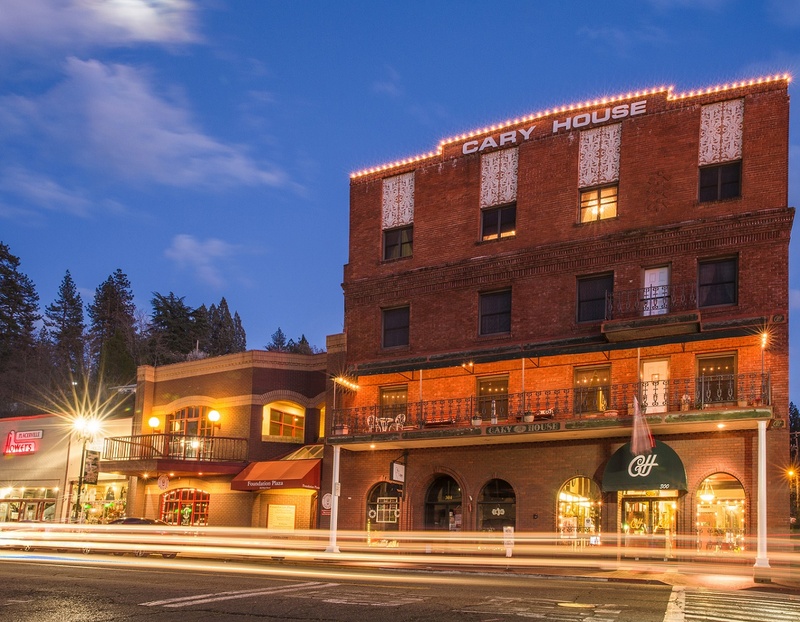 According to most accounts, the dish was invented when a gold prospector struck it rich, headed to the Cary House Hotel, and demanded the most expensive dish that the kitchen could provide. The most expensive ingredients available were eggs, which were delicate and had to be carefully brought to the mining town; bacon, which was shipped from the East Coast, and oysters, which had to be brought on ice from San Francisco, over 100 miles away. Another creation myth is the one told by the waiters at Sam’s Grill in San Francisco. At the county jail in Placerville, a condemned man was asked what he would like to eat for his last meal. He thought quickly and ordered an oyster omelet, knowing that the oysters would have to be brought from the water, over a hundred miles away by steamship and over rough roads, delaying his execution for a day. The dish was popularized by Tadich Grill in San Francisco, where it has apparently been on the menu for 160 years. 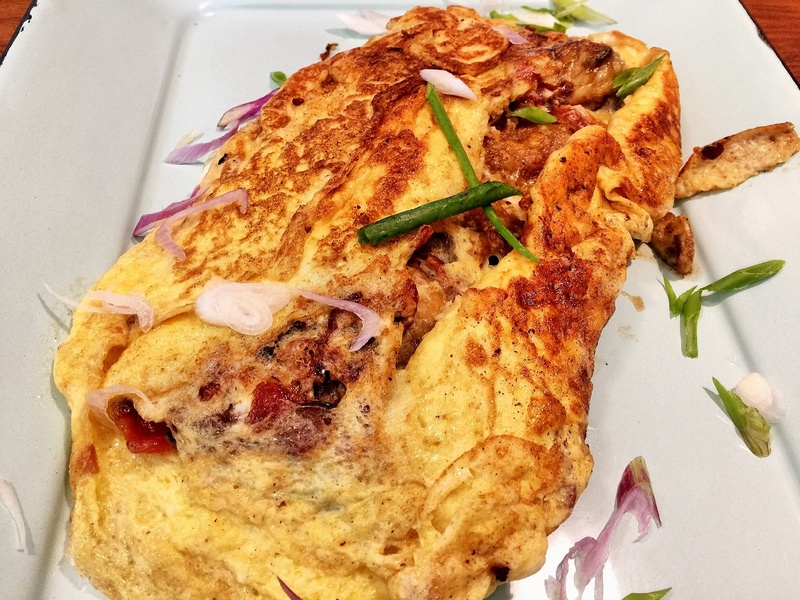 Later variations on the dish include the addition of onions, bell peppers, or various spices, and deep-frying the oysters before adding them to the omelette. Food writer and chef Mark Bittman created his own version of Hangtown Fry in one of his Minimalist cooking videos for The New York Times. Incidentally, check out Anthony Bourdain’s take of the hangtown fry during his visit to the Tadich Grill in San Francisco. And how’s about this Recipe of the Day article from Saveur Magazine! Pat oysters dry with paper towel. Combine flour, salt and the pepper, dip oysters into the beaten egg; then into flour mixture. Melt the butter or margarine in a 10-inch skillet over medium heat. Cook oysters in butter till edges curl, about 2 minutes on each side. Place the chopped bacon bits with the oysters. Beat the 6 eggs with the milk and salt. Pour into skillet with oysters and chopped bacon. As egg mixture begins to set on bottom and sides, left and fold over. Continue cooking and folding for 4 to 5 minutes or until the eggs are cooked throughout. Remove from heat. Makes 3 or 4 servings. 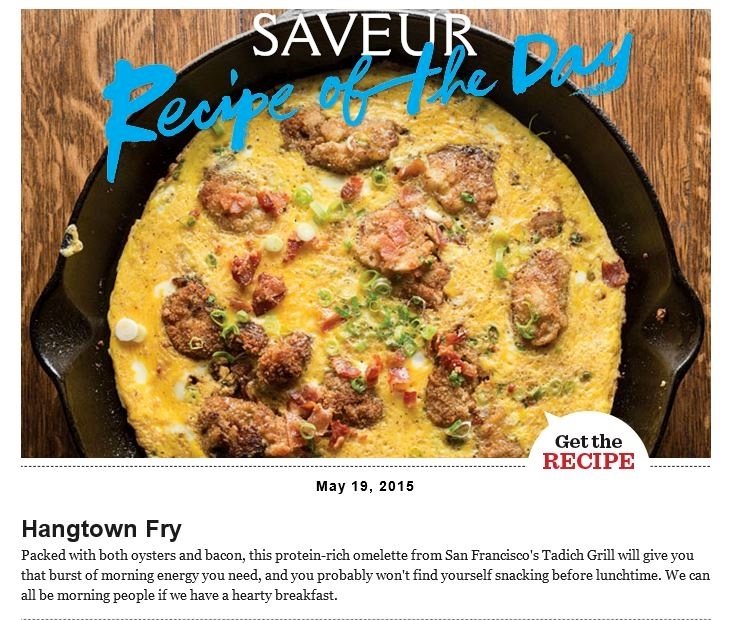 Posted in Breakfast, Food Stories, Menu and tagged breakfast, brunch, comfort food, Cooking, Food Culture, food stories, hangtown ca, Hangtown Fry, Home Cooking, placerville, recipes, the cooking apprentice. Bookmark the permalink.